Have you been in a car accident? If so, there are numerous reasons why it is a good idea to visit a chiropractor. When you need a chiropractor in Dundalk MD, the convenient office of Comprehensive Spine and Sports Center in Essex offers customized, one-on-one care for any type of injury or inflammation you have. A non-invasive, non-surgical treatment that relieves pain. A pain-relieving strategy that doesn’t require you to use drugs to reduce pain. A holistic method that leaves you feeling good. Pain reduction is the first step. However, there’s much more that chiropractic treatment offers to you. Reducing inflammation, which helps to encourage immune system health. Improving range of motion – you may be able to restore any limitations you have. Receiving proper treatment for your injuries because your chiropractor can more accurately diagnose and treat those non-obvious injuries like whiplash. 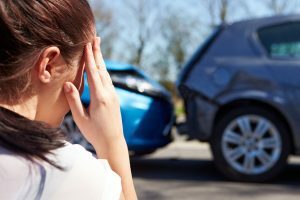 For many people, getting back to feeling good after a car accident is critical. Your chiropractor can help you. How Can a Chiropractor Restore Your Health? A visit to a chiropractor begins with a a full examination, sometimes including x-rays. Then, the chiropractor creates a comprehensive treatment plan to address your concerns. Your treatment may include a spinal adjustment, which uses specifically placed pressure to restore proper alignment to your spinal cord. As a result, this reduces pain and pressure on the nerves. Other treatment options can help you to experience reduced inflammation, less pain, and improved mobility. For those who have pain, limited mobility, or other concerns after a car accident, Comprehensive Spine & Sports Center can provide help. If you have pain, contact us today to learn more about the care we can offer. Schedule a consultation for a full exam to learn what your options are.